Celebrate with our Pure Hazelnut Chocolate or Hazelnut Chocolate Ice Blended® this Monday! Are you ready to celebrate your Monday with your favorite Ice Blended® flavors? Whether it’s sunny or rainy, our Hazelnut Chocolate and Pure Hazelnut Chocolate Ice Blended® are sure to lift your spirits and bring delight to your day! Watch out for it this coming Monday, June 5, available ALL DAY or only Php 100 each! This LAST #MondaysMadeBetter treat is EXCLUSIVE Hato all Swirl Rewards cardholders, so be sure to have your card with you! On our FINAL WEEK of #MondaysMadeBetter, show us how you celebrate your day with The Ice Blended® by posting your creative photos on Facebook or Instagram. 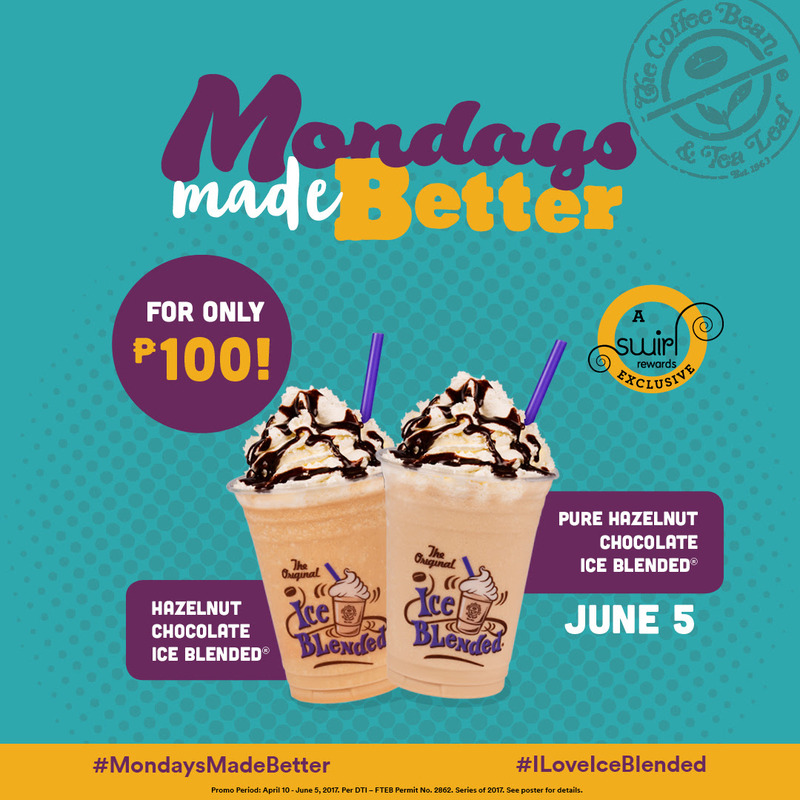 Tag #MondaysMadeBetter and #ILoveIceBlended to get a chance to win Php 1,000 worth of gift certificates! Join for at least four (4) Mondays and you might just be the winner of a year's worth of Ice Blended® drinks! So be your most creative self and send in your best entries! We have another exclusive treat for all Swirl Rewards cardholders! Double your Swirl Rewards card points when you buy the featured Ice Blended® of the week. Head out to the nearest CBTL branch to grab this offer!